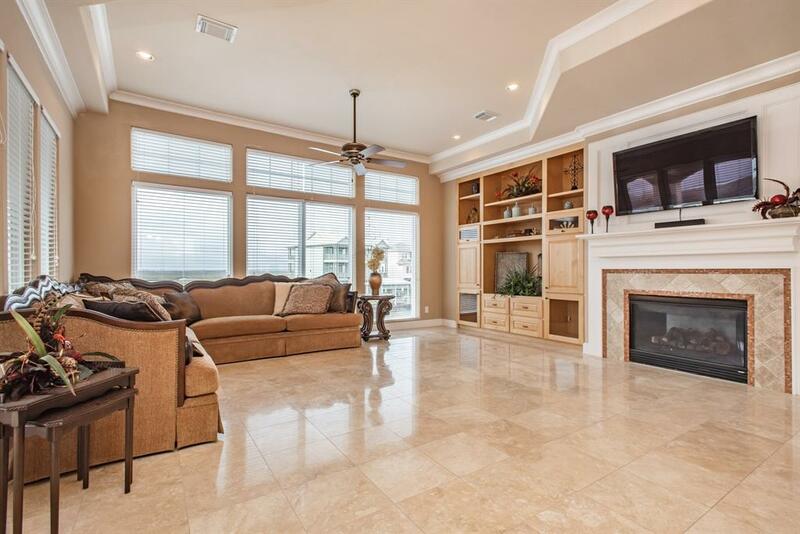 Situated near Galveston Island, this spectacular bayside property in the gated community of Harborwalk offers mesmerizing views of West Galveston Bay and the Harborwalk south channel. 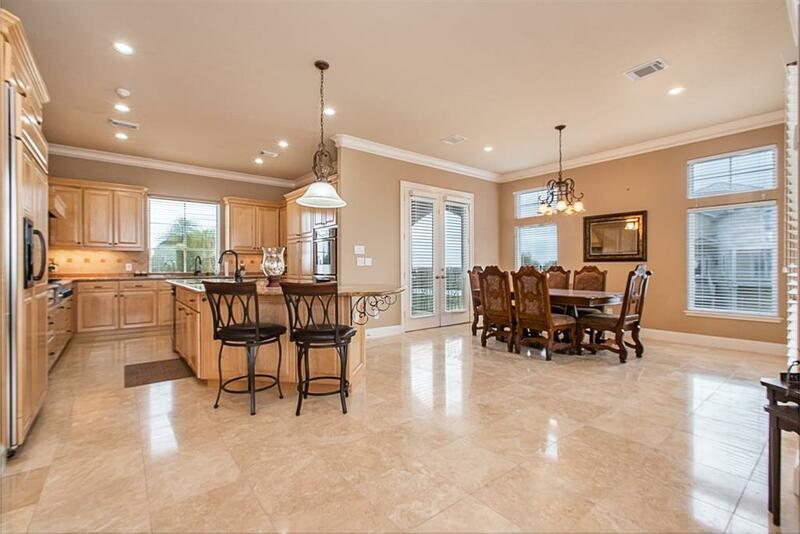 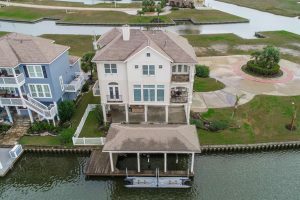 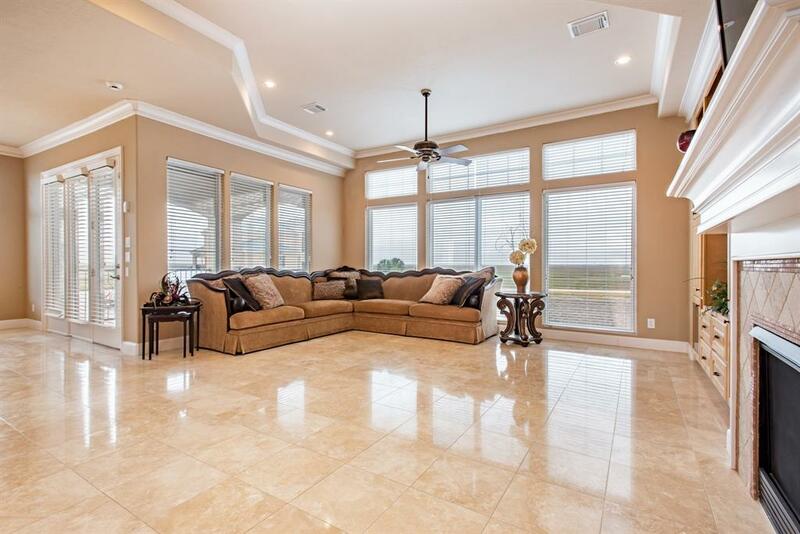 You’ll find that this home is the perfect place to experience the serene coastal living of Galveston Bay, with a covered patio and outdoor kitchen, tropical landscaping, boat dock, and double jet ski floating dock. 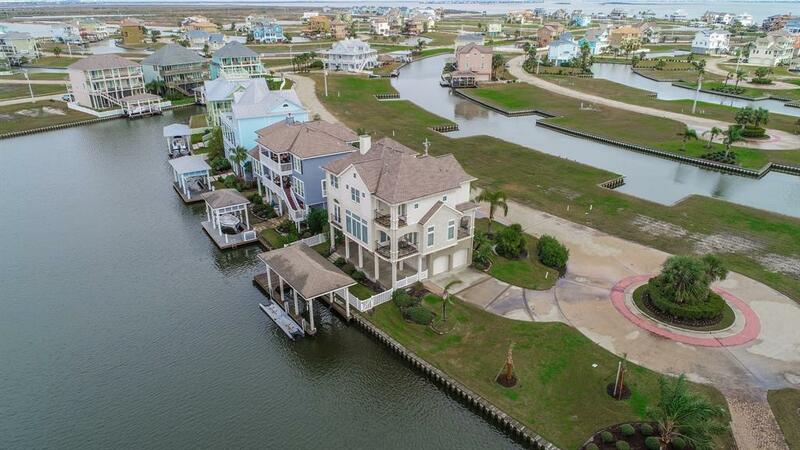 Galveston Bay is a dream destination for those looking to get the most out of life. 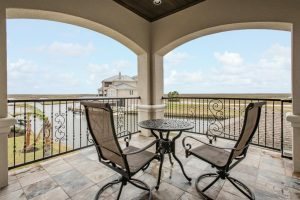 Harborwalk’s premier location on West Galveston Bay provides access to the flats of the bay system and the open waters of the Gulf. 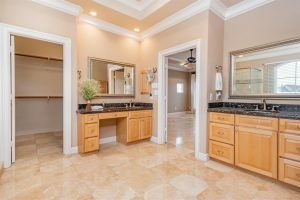 A world-class marina and yacht club, resort-style amenities, boating, sport fishing, kayaking, and more are all at your fingertips. 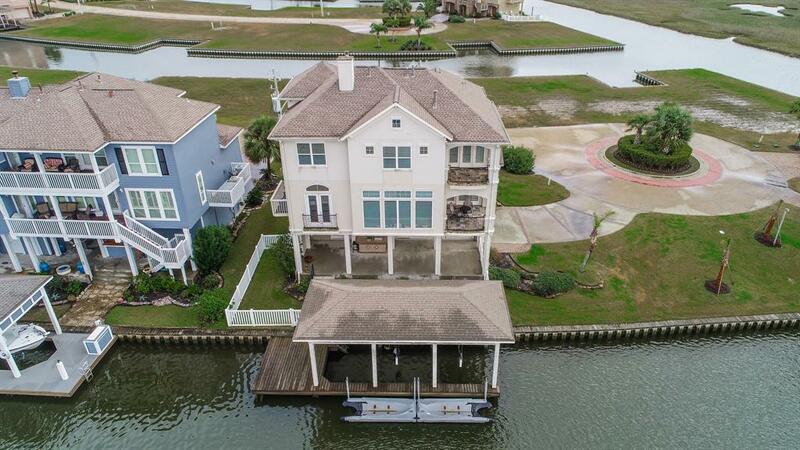 Direct, private boat access to the intracoastal waterway, San Luis Pass, Galveston Yacht Basin, and the Gulf of Mexico is just minutes away. 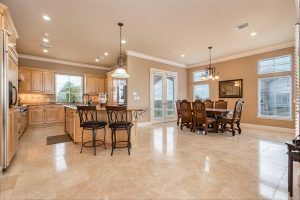 Only 15 minutes away from Downtown Galveston, home to several museums, shops, and restaurants, all with spectacular views of the Gulf. 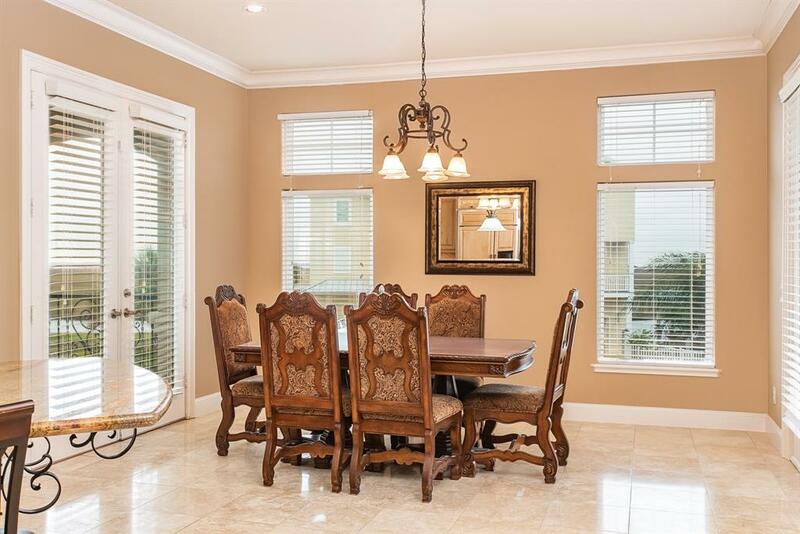 If that isn’t enough, spend your days exploring the Kemah Boardwalk, featuring rides and amusements, shopping, festivals, live entertainment, and refined dining. 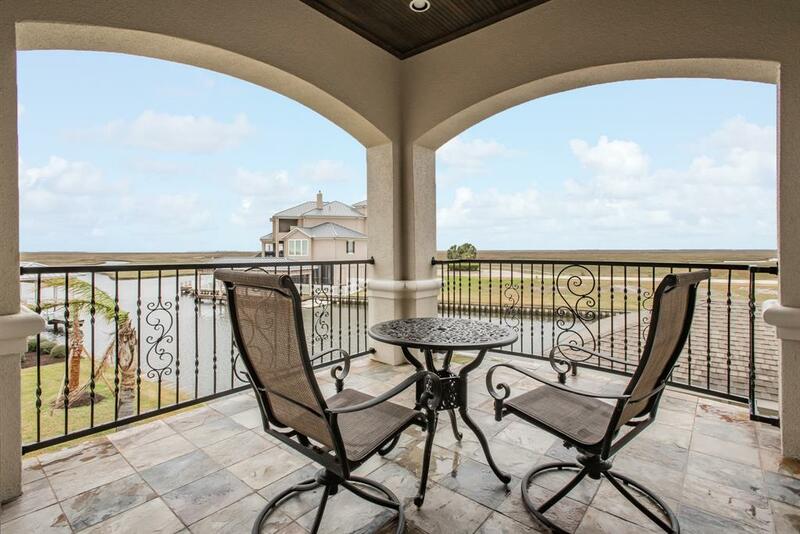 The possibilities are endless for the residents of Harborwalk. Graciously proportioned with an open design and tons of natural light, the living room is ideal for both entertaining and leisure. 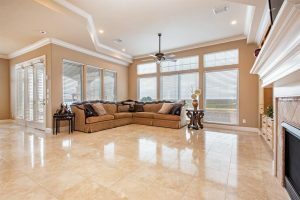 The space is accentuated by polished travertine flooring, gas fireplace with adjacent built-ins, and a wall of windows overlooking the bay. 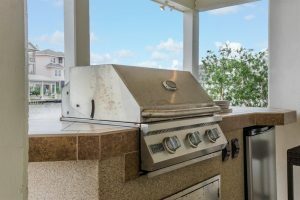 Treat your guests to an exquisite meal and gorgeous views from the dining area, which includes access to one of the home’s multiple balconies. 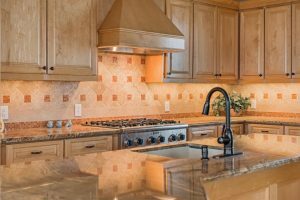 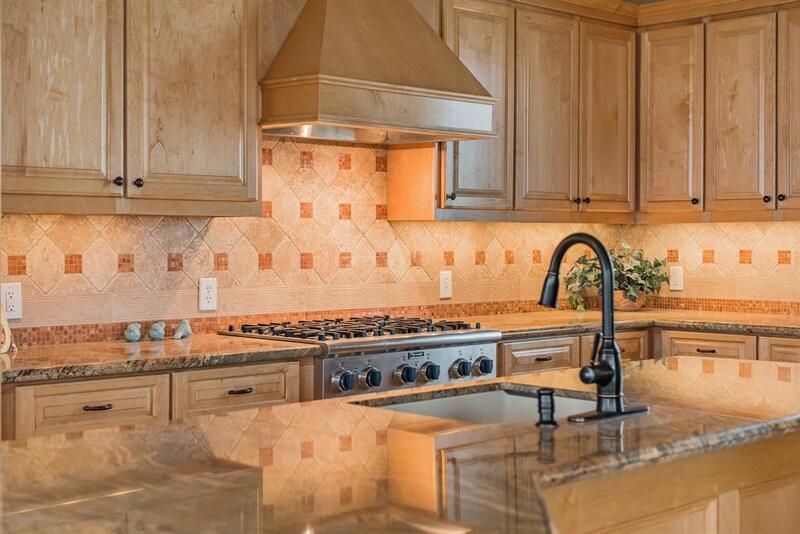 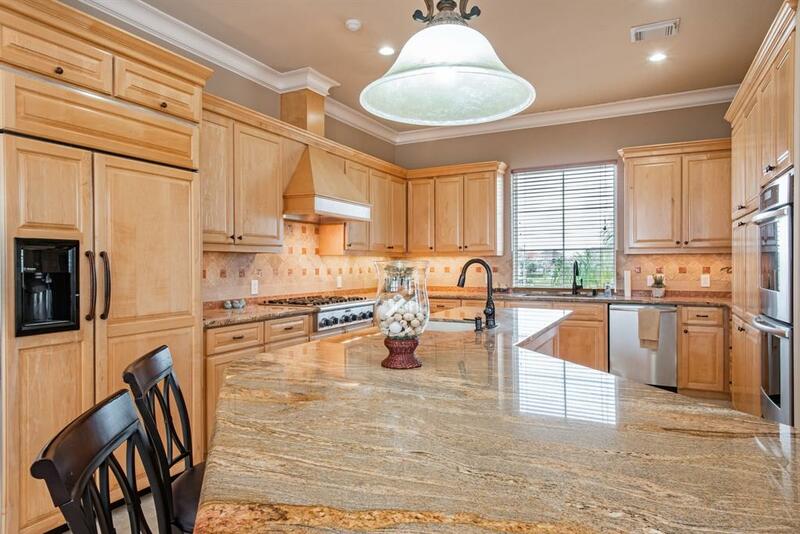 Hone your culinary skills in the gourmet island kitchen with granite countertops, custom maple cabinetry, wine fridge, and top-of-the-line Thermador appliances, including a double oven and 6-burner gas cooktop. 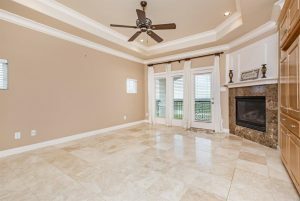 Greet the day with stunning views of the bay from the balcony of your lavish master bedroom, which is equipped with custom-built cabinetry and a fireplace with a stone surround. Reach a zen-like state in this magnificent master bathroom, with a spacious walk-in closet, separate vanities, luxurious whirlpool tub, and frameless shower. 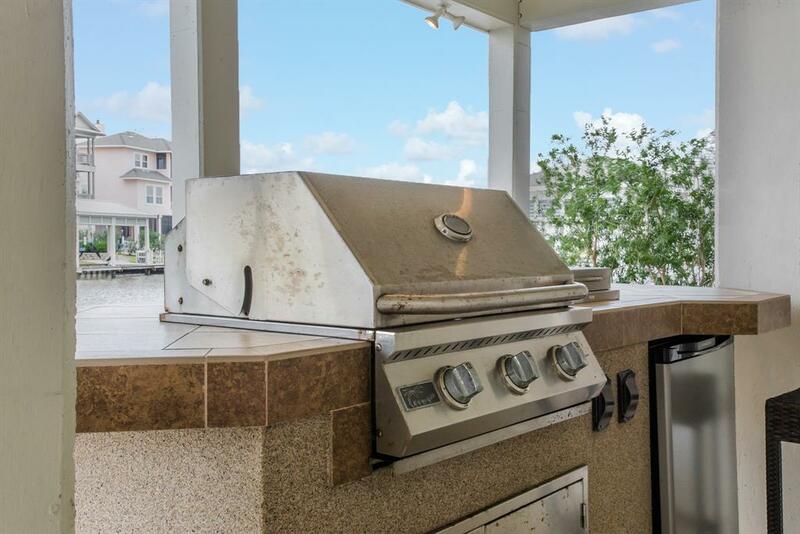 Spend your days relaxing or entertaining guests on the gorgeous patio, complete with stunning views of the bay and a boat dock.